If life was a circle, where would you be? 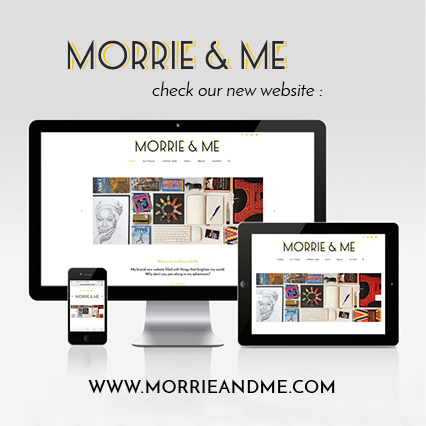 After weeks of working hard on this exciting new project, I’m very happy to be able to welcome you to a brand new Morrie&Me website. From now on all Morrie&Me news, updates, illustrations and other projects can be found on http://www.morrieandme.com and I really can't wait to show it to you. When looking for a movie to watch my boyfriend and I immediate agreed upon Given; a breathtakingly beautiful travelogue told by six years-old Given Goodwin who goes on a 14 month journey across the world with his mom Daize, dad Aamion and baby sister True. Creating a moodboard for our livingroom I kept in mind the moodboard should harbour a living vibe, show real homes, where people live and feel at home. A livingroom that isn’t perfect, but perfect for its inhabitants. Colourful and nice, cosy but not too sweet. Now our future home is growing slowly but surely, I felt like it was time to share another moodboard with you guys. Today I finally completed the third moodboard for our future home; the moodboard for our bedroom. Two years ago the first documentary series presented by Mr. Jeroen Krabbé did portray the work and life of Vincent Van Gogh. In this year's series Mr. Krabbé takes us on a trip through France, Spain and Italy, following the footsteps of the richest, most famous and most talented artist that has ever lived; Pablo Picasso. Today exactly one year ago Morrie&Me launched its very first blogpost. And as you guys know, throughout the year many more have followed. To celebrate this milestone we made a selection of this year's favorite posts. What are your favorites? Design duo Kranen/Gille can celebrate ten years of designing with their solo-exhibition 'The industrial character of Kranen/Gille'. About 40 pieces of their design, un-commissioned work and prototypes give the visitors an insight into the world of Kranen/Gille. Having a mom that could easily be crowned 'the Queen of Mandalas', I decided to try out making some abstract work as well. So this weekend I sat down and made my first ever abstract illustration. The biggest surprise of all; it suited me better than I'd ever imagined! Hi there, my name is Sandra and I’d like to welcome you to our brand new website www.morrieandme.com. Can't wait to see you there! Although I hadn’t planned on visiting the @fondazioneprada during Milan Design Week, I’m very glad that I did! The exhibit wasn’t very inspiring to me, but the building, designed by @rem.koolhaas, totally made up for it! Inspiration : Book review 51 DIY Projecten 51 DIY Projecten by Danish graphic designer Katarina Natalie Andersen, is one of those books that just by its cover convinces you that it’s something you got to check out. At least I couldn’t resist taking it home and having thumbed through the pages, I feel very inspired to start working on my own list of DIY projects, a list that keeps on growing and sometimes results into a finished project. I'm sure you've got a list of (interior) projects yourself. I'm curious, what's on it, what project would you like to DIY? Next week you can find me in Milan because of the Milan Design Week. I’m super excited to go since I always wanted to visit Milan & MDW and this will be my first time for both. Luckily I also look forward to today, to take it easy and enjoy ‘my last day’ at our lovely home. That’s why I decided to give you a sneak peek of our beautiful kitchen. ☺️ Have you ever been to Milan or the MDW? If you know of any must-see, must-do or must-eat tips, please let me know in the comments below! Have a great weekend and stay tuned if you’re up for Milan updates! This week I went to the @bonnefanten Museum in Maastricht to see the David Lynch exhibit (of which a review will be online soon). Next to the Lynch exhibit, I was also very excited to experience the museum’s cupola again, that became an ‘Optical Glade’ by @stanleydonwood in 2017. The almost hallucinating interplay of lines, in combination with the music that Radiohead’s Thom Yorke composed for this artwork, invite you to embrace your inner silence, lets you meditate or in contrary, might arouse a moment of reflection. A fascinating and overwhelming artwork that you shouldn’t miss out on when visiting Maastricht (NL)!